Crochet is perfect for texture. 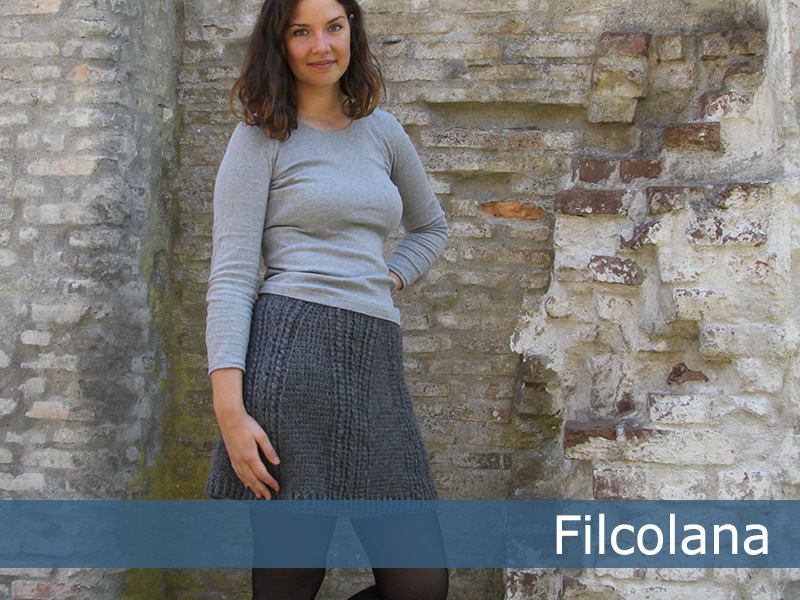 This miniskirt is crocheted using cables and puff stitches – a good project for the experienced crocheter. This yarn is especially good for crochet cables and it can be crocheted on a relatively large hook without loosening shape. This means the skirt will not be too heavy. The skirt is crocheted top-down, so you can adjust the length as you go.